With warm conditions and rapid corn growth this week, these yellow leaves are reminders of the twisted whorls at emergence. (Photo by Roger Elmore) See Crop Reports for more photos. Is Your Irrigation System Ready for the Season? Above normal temperatures since June 1 have reduced accumulated GDD deficits from late April and May. Preliminary analysis suggests that GDD deficits (corn base) have been eliminated across southern Nebraska and reduced across northern Nebraska. See current GDD table. Figure 1. A Wheat Field Day in a grower’s field in Washington County on June 6. A survey of fields in south central, southeast, and northeast Nebraska shows wheat diseases increasing in severity and occurrence. Stripe rust and leaf rust have developed to severe levels in fields plant with susceptible varieties that weren't sprayed to protect the flag leaf. Nebraska's 2017 winter wheat crop is forecast at 46.5 million bushels, down 34% from last year's crop, according to USDA's National Agricultural Statistics Service. Nationally, winter wheat production is up less than 1%. 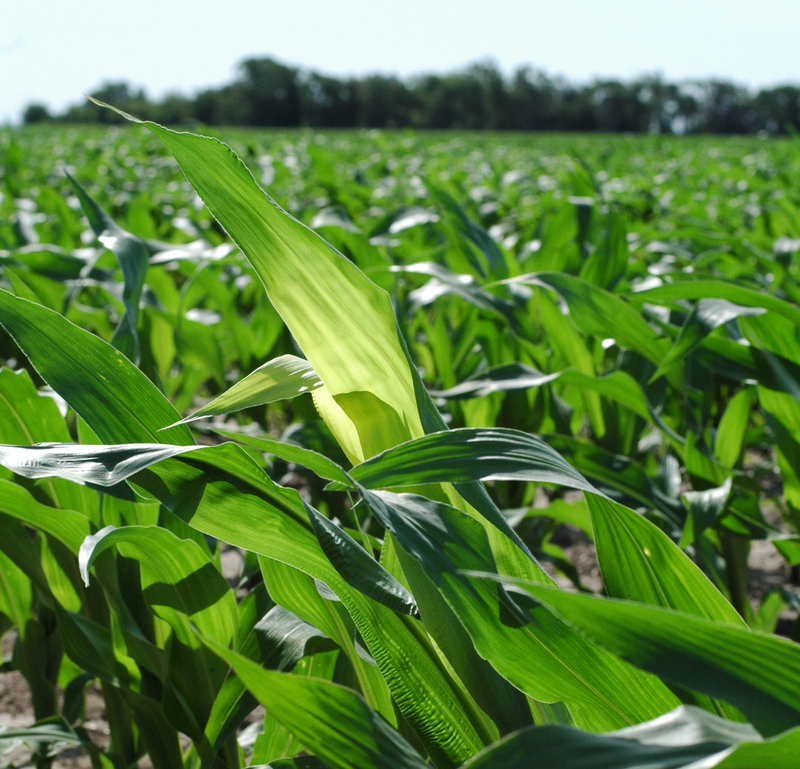 Following heavy spring rains, farmers may be interested in testing for soil nitrogen availability. This article notes a new publication from Iowa State University on using the Late Spring Soil Nitrate Test (LSNT) as well as other options for assessing soil nitrate. A precision agriculture class looks up as an unmanned aerial vechicle captures the scene at the Christenson Building at the Eastern Nebraska Research and Extension Center. The University of Nebraska Eastern Nebraska Research and Extension Center (ENREC), representing 53 counties and multiple research and extension facilities, will be hosting its first open house Thursday, June 29 at the former ARDC near Mead. Extension crop reports and photos for the week. Weed Management, Cover Crops Field Day June 28 at the South Central Ag Lab near Clay Center. View the latest weed management technologies and cover crop demonstrations.